Today is one of those gorgeous fall days when it’s hard to believe winter will ever come. But come it will, and I’m betting in about a month it will be here to stay. 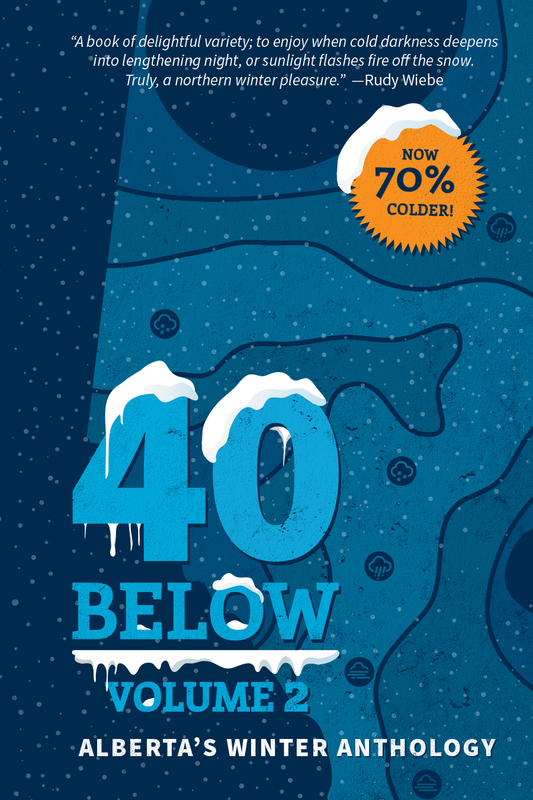 Coincidentally, in less than month, I’ll be reading at the Calgary book launch of 40 Below: Alberta’s Winter Anthology, Volume 2, along with Ali Bryan and Natalie Meisner. Join us on Saturday, November 7th at 2 PM at Shelf Life Books, 1302 – 4 St. SW. We’ll be reading, there’ll be books (Christmas will be looming at that point). And I heard a rumour about cake. Sounds like a fun way to spend a Saturday afternoon. Hope to see you there! My contribution to The Litter I See Project can be found here. The project is raising awareness of (and funds for) the literacy programs at Frontier College. Please consider supporting the important work they do.